Whitetails Unlimited has invested over $140,000 in multiple initiatives that will be promoted at all WTU events during the current fiscal year, which began July 1st. While these initiatives will be presented directly to the more than 107,000 WTU members that will be attending these 475 events, messages will also be made available to the general hunting public. 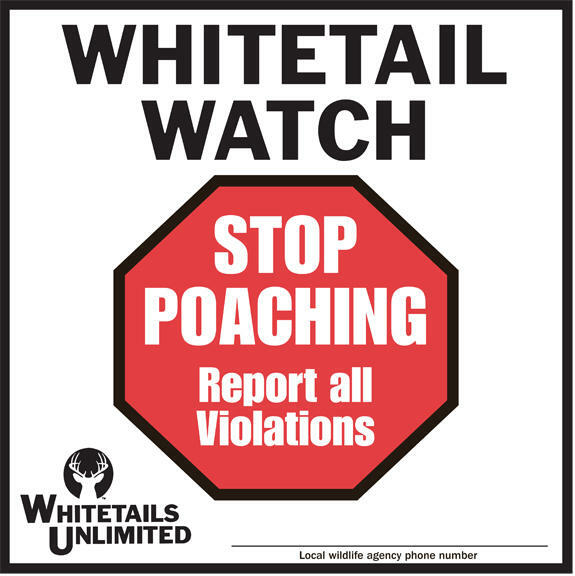 Whitetail Watch: An anti-poaching effort through WTU’s HOPE Program to provide highly visible Whitetail Watch signs for members to use to deter poaching. Kids on Target – Archery: A shooting sports effort through the WTU Staying on Target Program to promote archery to young people. With an emphasis on safety, the program provides a framework for adults to work on archery skills with a child, with positive reinforcement for success for the children. Deer Management Booklet: An educational effort through the DEER Program to explain the strategy and skills needed, and encourage hunters to manage property for the benefit of wildlife, with emphasis on food plots for white-tailed deer. TSSA Infographic Cards: An educational effort in partnership with the Tree Stand Safety Awareness Foundation to further WTU’s Tree Stand Safety Initiative, TSSA Infographic cards will be distributed at each WTU event. 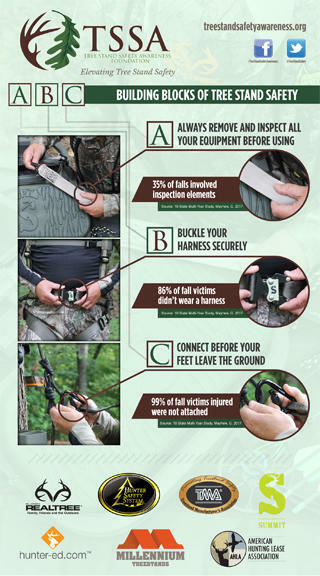 Hunter Safety Systems Fall Restraint Harness: An educational effort through the DEER Program to emphasize tree stand safety and awareness for hunters, a Hunter Safety Systems Ultralite Flex harness will be awarded via a free drawing at each WTU event. 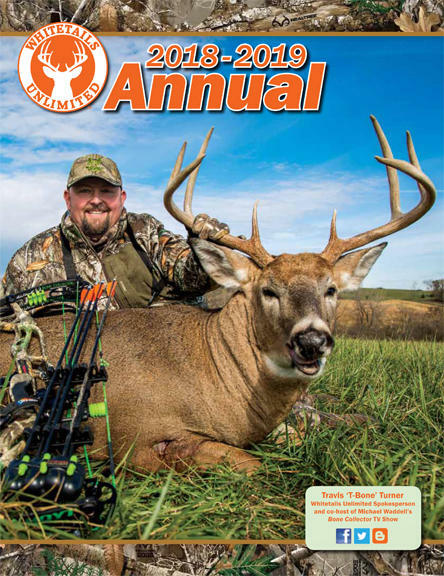 Event Annual: Whitetails Unlimited’s marquee publication is provided to everyone attending a WTU event. Inside is information on how WTU is advancing the mission of education, conservation, and support of the American tradition of regulated hunting. In addition, there is a plethora of useful and educational information for any deer hunter, including stories on hunting, gear, optics, recipes, safety, and member hunting stories. For information on Whitetails Unlimited events, visit the WTU website at www.whitetailsunlimited.com. Since our beginning in 1982, Whitetails Unlimited has remained true to its mission and has made great strides in the field of conservation. Thanks to more than 475 chapters, 112,000-plus members, chapter volunteers, and corporate sponsors, Whitetails Unlimited has earned the reputation of being the nation’s premier organization dedicating its resources to the betterment of the white-tailed deer and its environment. Our mission is to raise funds in support of educational programs, wildlife habitat enhancement and acquisition, and preservation of the shooting sports and hunting tradition for future generations. To date, Whitetails Unlimited has expended more than $85.7 million on program services and activities that continue to enhance, and ultimately foster, our mission.